Empowering women to change their world through water. Companies, both for profit and nonprofit, have traditionally approached water and sanitation as an infrastructure problem. The prevailing opinion has been that if a well is dug, a pipeline laid, or a filter placed, the issue is solved. We believe that the water crisis won’t be solved by a pipe; it will be solved by people. 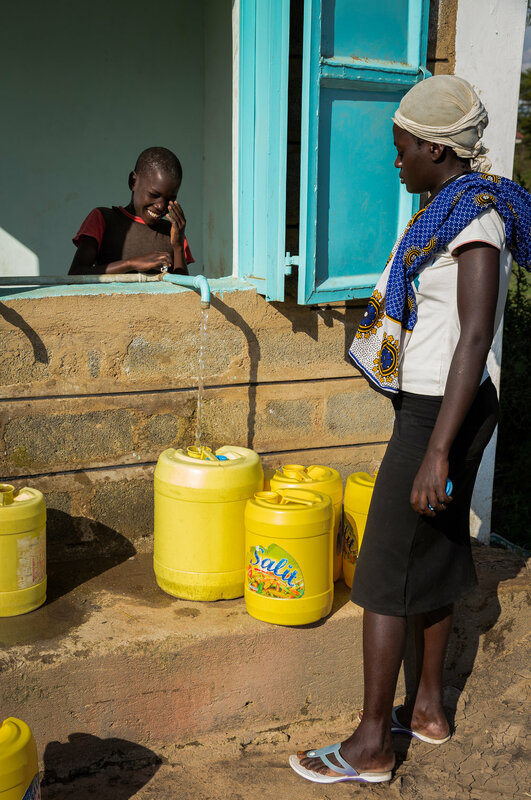 With water issues disproportionately impacting women, we believe that with quality support, women will solve the water crisis and change the face of their communities. We envision a network of women connecting through the biggest barrier to women worldwide: water. We envision women working with women, across borders, languages, religions… all in an effort to exchange information, resources, tools, and funding. We envision a world where women can work with one another to secure funding, learn leadership, and see their visions released upon the world. And above all else, we see a world where water is no longer a barrier for women, but instead a tool they use for their own empowerment.